This Friday, January 18th at 4:00 AM, an amazing group of runners will start from Turner Field in Downtown Atlanta on a 126.2 mile, 2 day journey to raise autism awareness and money for TACA. You read that right, 126.2 MILES! So as you are eating breakfast, lunch or even dinner on Friday think about this group of runners spending their day running 126.2 miles to make a difference for TACA families. 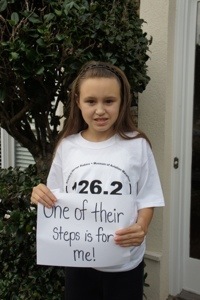 One of their steps in this 126.2 mile journey will be for my child and one will be for each of yours. I consider anyone willing to run 126.2 miles to bring awareness and money to a cause pretty amazing (especially if the cause is autism and the organization is TACA.) What makes this story even more inspiring is that none of these runners have a personal connection to autism. They do not have a child with autism or even a brother or sister with autism. They are a group of runners that saw TACA doing good things in their community so they decided to use something they love (running!) to make a difference in the lives of others. They brainstormed an idea, mapped out a course, and set up a fundraising page. Quickly, “126.2 Miles for Autism” was in full swing and their work to make a difference for families living with autism had started one step at a time. Help us show our thanks for this inspiring effort by “liking” their 126.2 Mile for TACA Facebook page, http://www.facebook.com/126.2MilesforTACA and leaving a note of thanks. 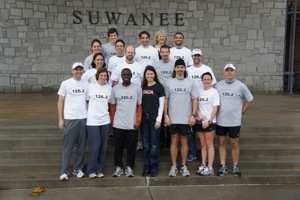 To make a donation in support of “126.2 Miles for TACA” go to http://www.firstgiving.com/fundraiser/126fortaca/Run4TACA. TACA. Autism. 126.2 miles for TACA. Heroes for TACA. Autism needs a Martin Luther King Jr.
What a great story. Is it okay if we post this on our website?